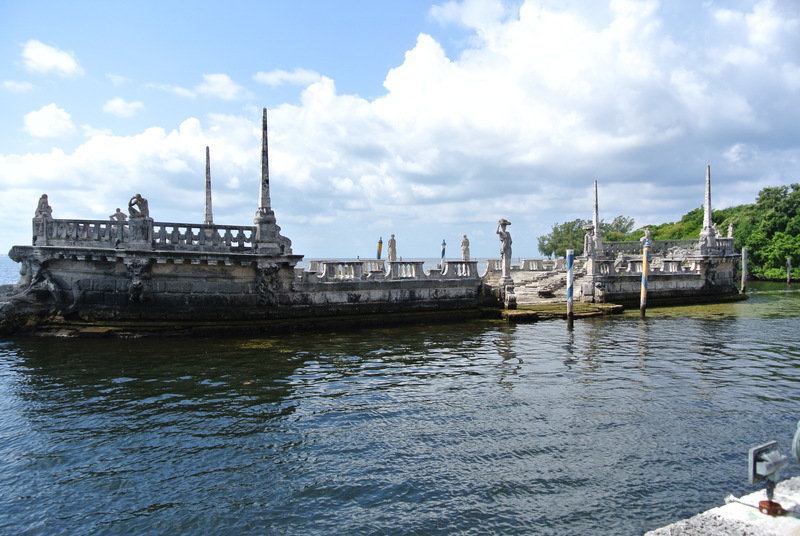 While we were in Miami, we wanted to see the Vizcaya Museum then go to brunch. Then we wanted to do absolutely nothing but flag down the drink girl for another libation by the beach. 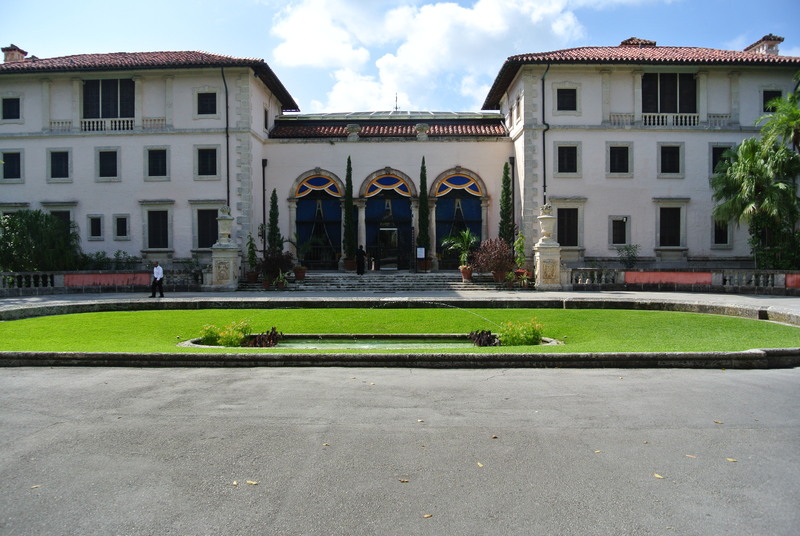 We got up pretty quick and checked out of the Biltmore, then headed to the Vizcaya Museum, just a few miles down the road. It opened at 9:30 AM and cost $15 each to get in. And it’s so worth the price. And getting there early. We arrived not much after 9:30 and we had the place practically to ourselves. Parking was a little confusing, since there weren’t many cars there to show us the way. But once we figured out that we park then walk thru the forest to the house, it was a very enjoyable area. The outside is just spectacular. 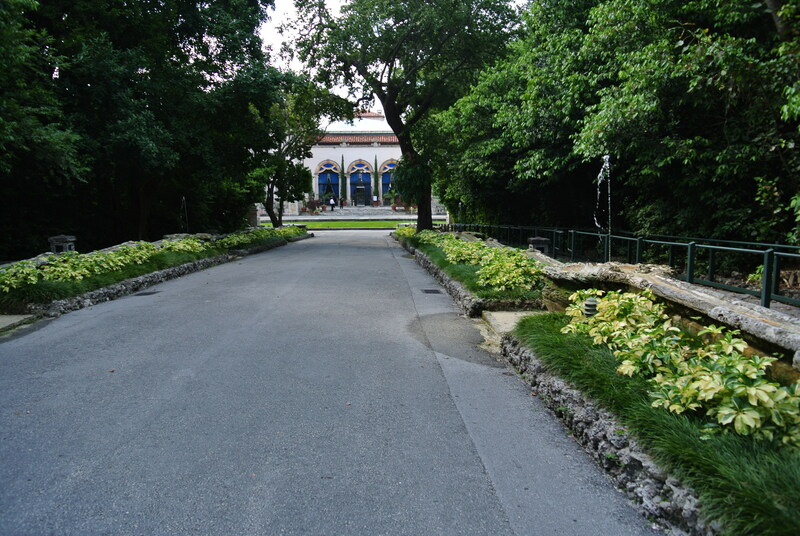 The green was so green and the grounds were manicured so perfectly. 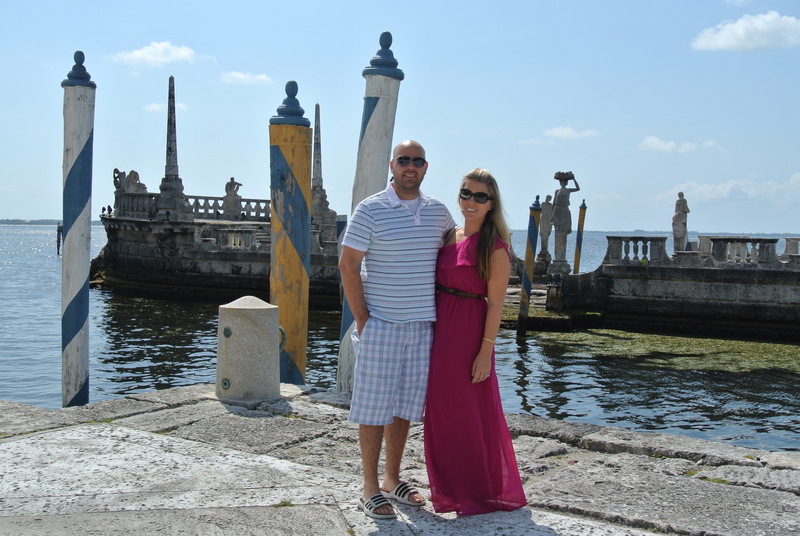 The house has that beautiful Spanish style exterior that the Husband and I both really love. 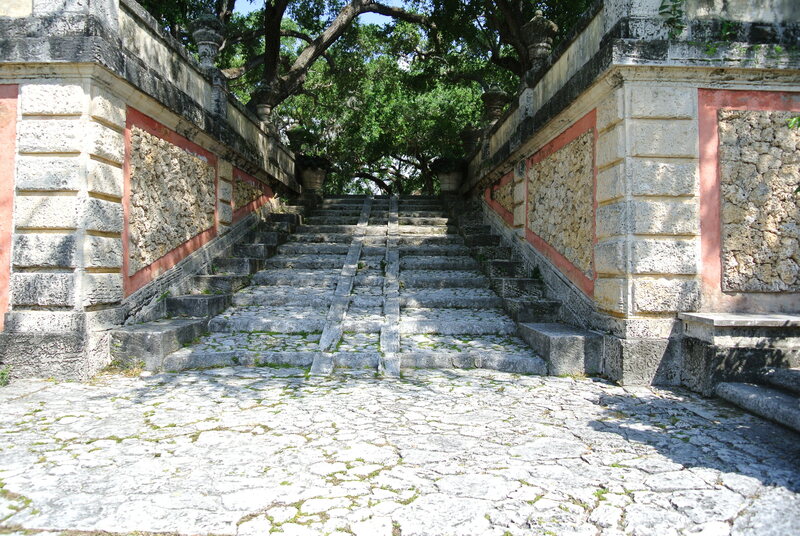 The entryway to the house. After you walk thru the front doors, you are transported to the 1900’s and you can feel the grandiose era that once held lavish parties and housed the help, just like Downton Abbey. I have to admit, I have a weird obsession with touching old stuff. Which obviously is frowned upon. I generally stick to doorknobs. I touched almost all the doorknobs at Windsor Castle and I may or may not have touched a rock at Stonehenge. There is just something exciting about touching something that is hundreds of years (or more) old. So I may have touched a few doorknobs and maybe even a rug dating back to the 1400’s. And I am such a nervous nellie and not at all a good criminal, so I get all scared and suspicious-looking when I touch things I shouldn’t. Maybe I need a shrink. Anyway, along with not touching things, you cannot take photos. 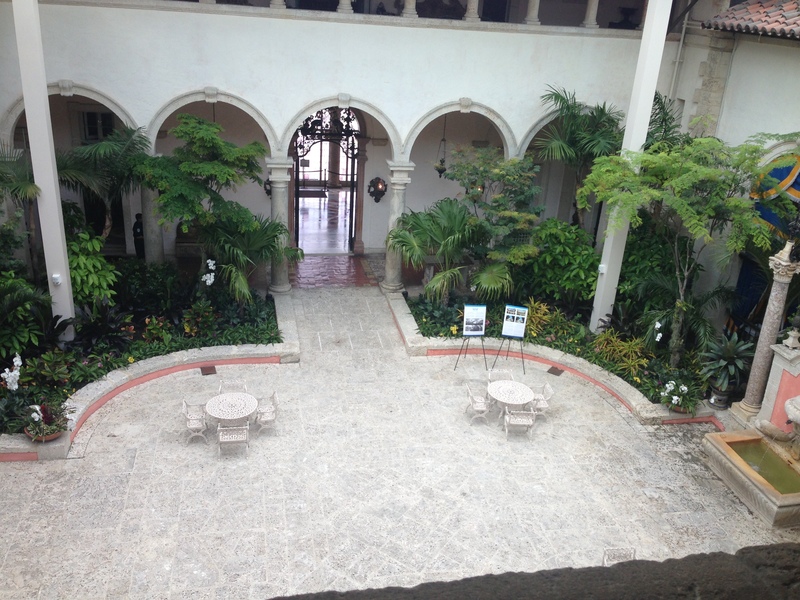 But standing on the second floor, overlooking the terrace, I couldn’t resist. It was just so lovely. 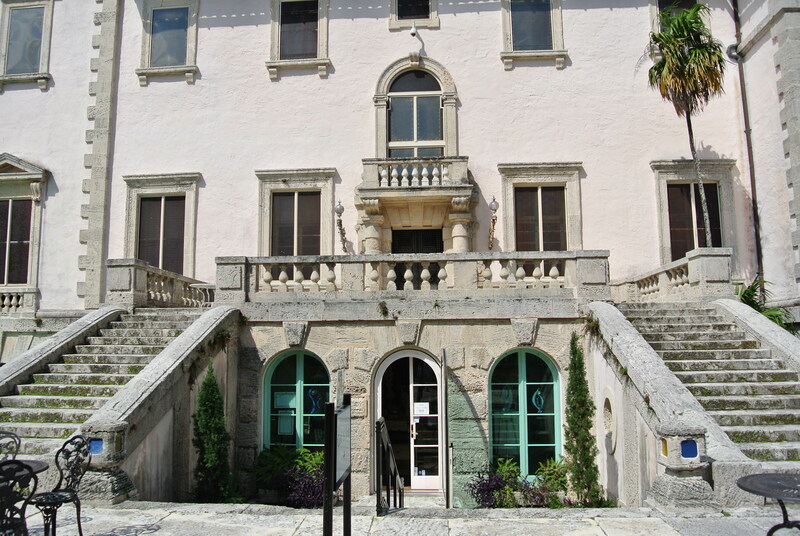 The terrace inside the house. After walking all thru the house, and having near panic attack on the spiral staircase, we headed outside. 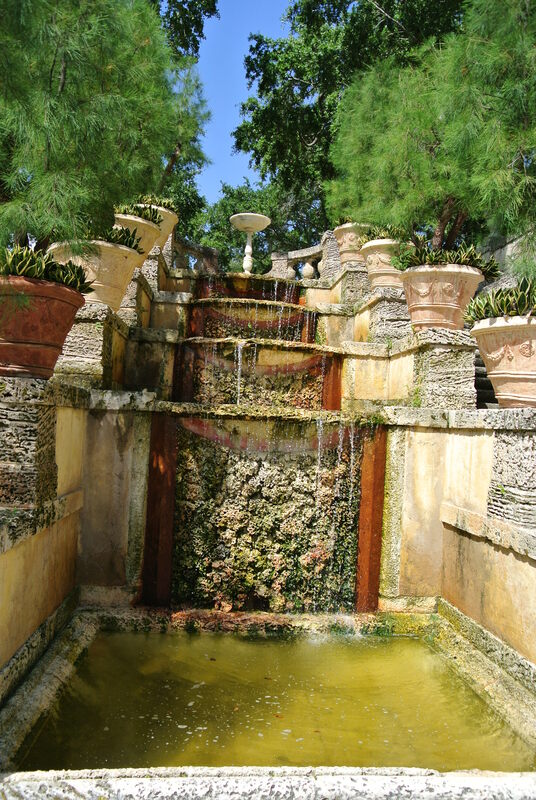 The water and gardens are breathtaking. You can take photos again, and the outside out of the house is just as wonderful as the inside. 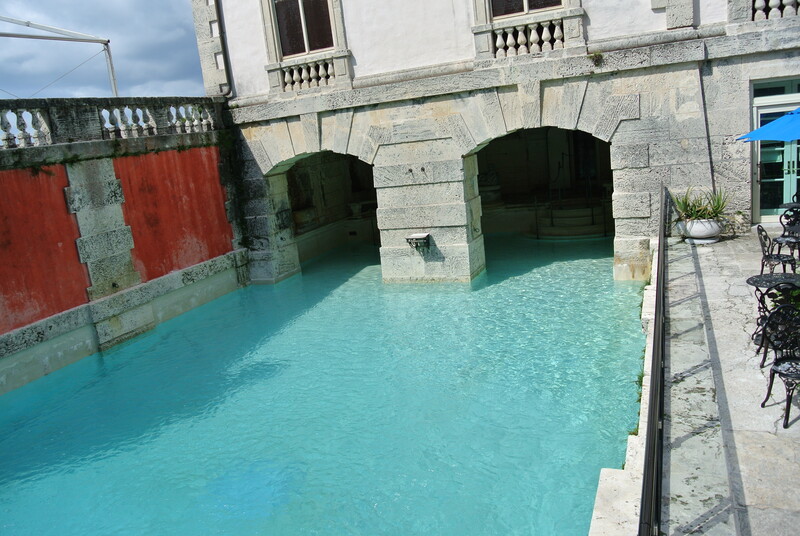 And the pool looked so refreshing, I almost jumped in! Don’t you just want to get in?? The view of the water was the best by far. I’m not sure what the point of this is but it was simply lovely. The Husband and I, on our first wedding anniversary. 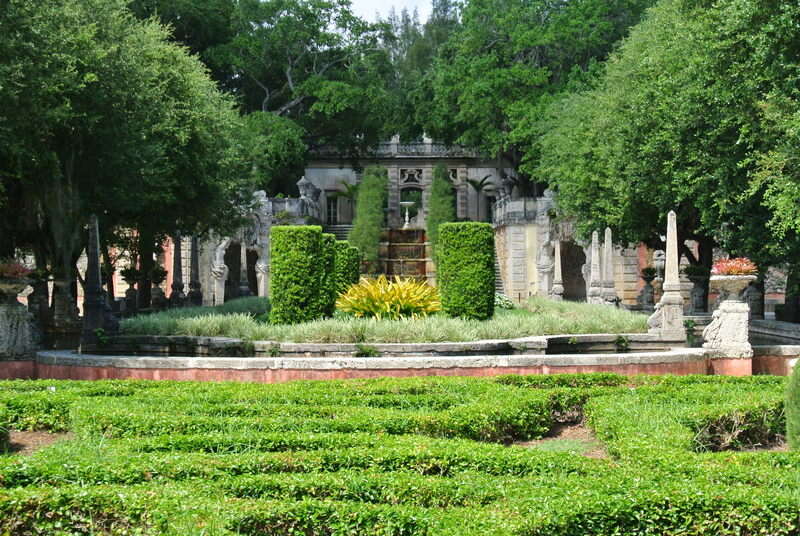 After we had enough of the water, we headed to the gardens. 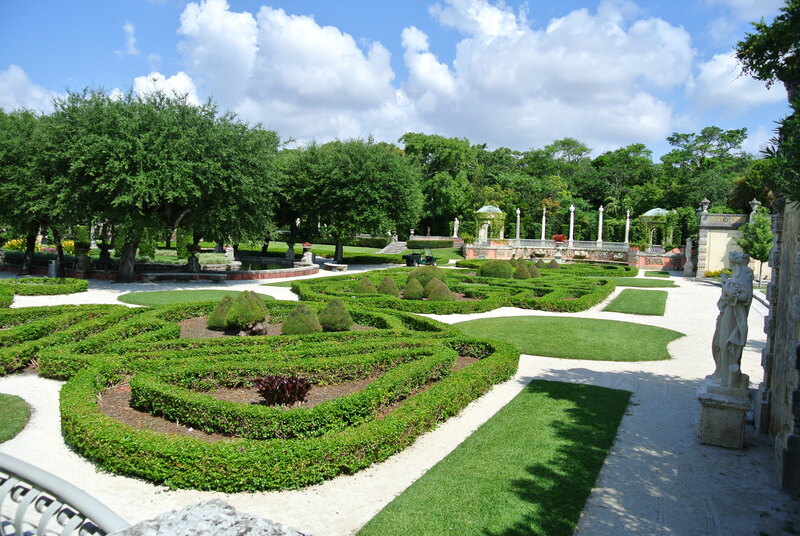 They were very reminiscent of the gardens at Versailles, just a much smaller scale, making it much more manageable to actually see it all and enjoy it. 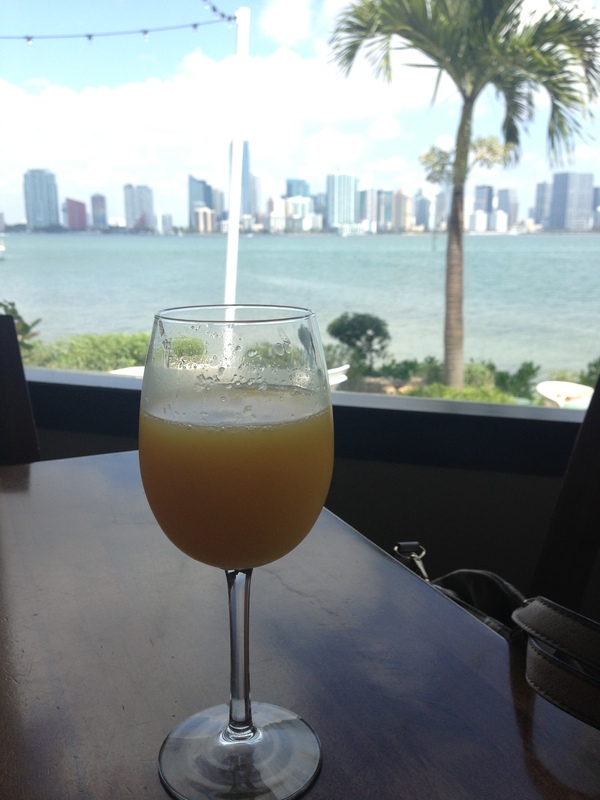 After we walked the gardens we headed to Key Biscayne to have brunch at the Rusty Pelican. The Husband’s friend told us it had the best view of Miami. And it was beautiful. 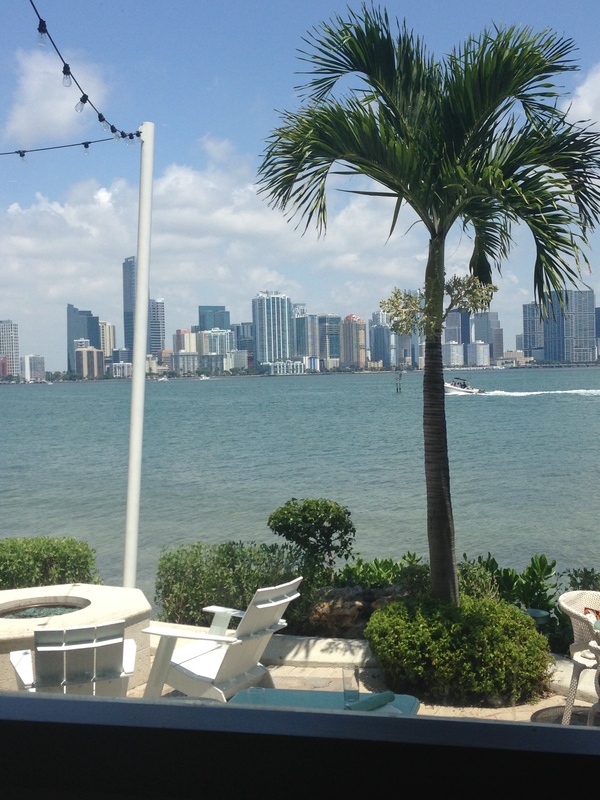 $18 unlimited mimosas and a great view. 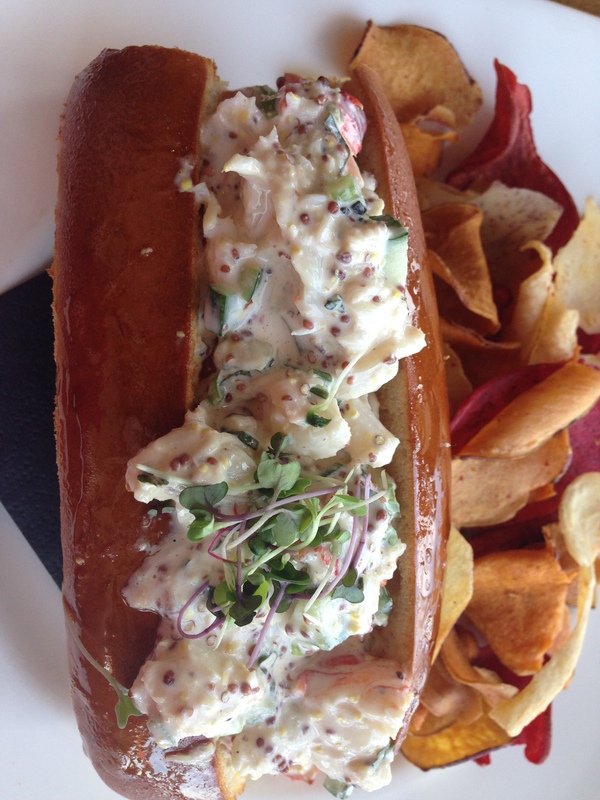 The lobster salad roll. Best lobster salad I have ever had! And of course they have a giant pelican. Which just happens to be one of my favorite animals. 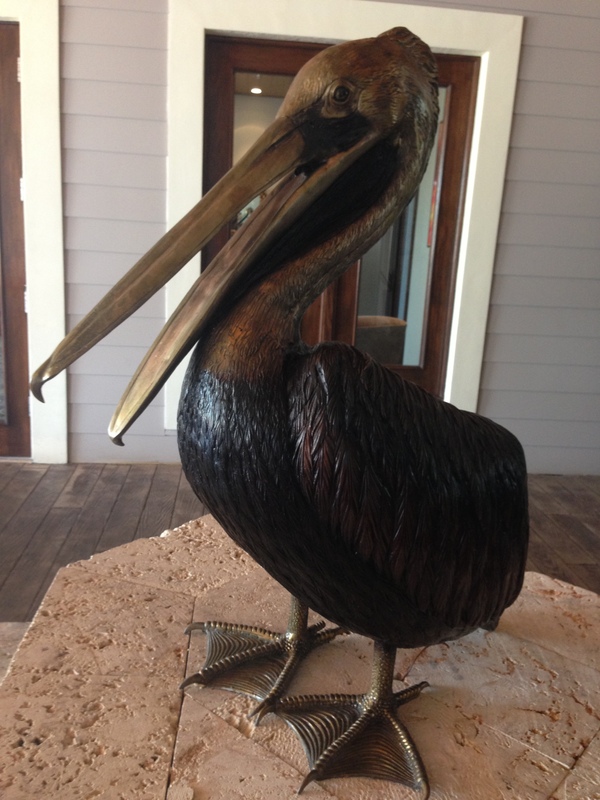 Pelican pelican, your mouth holds more than your belly can! After walking off the unlimited mimosas for a bit, we headed to South Beach for the rest of our weekend!